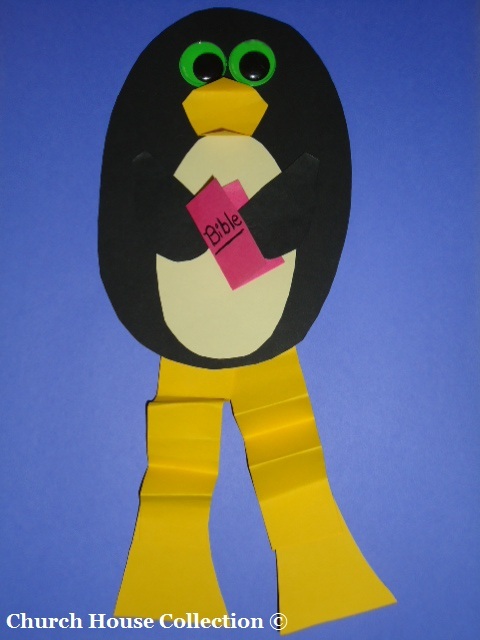 You can let the kids make one of these in Sunday school, children's church or at home just for fun. You could reinforce a lesson with this using the one from 2 Timothy 2:15-Study to shew thyself approved unto God, a workman that needeth not to be ashamed, rightly dividing the word of truth. 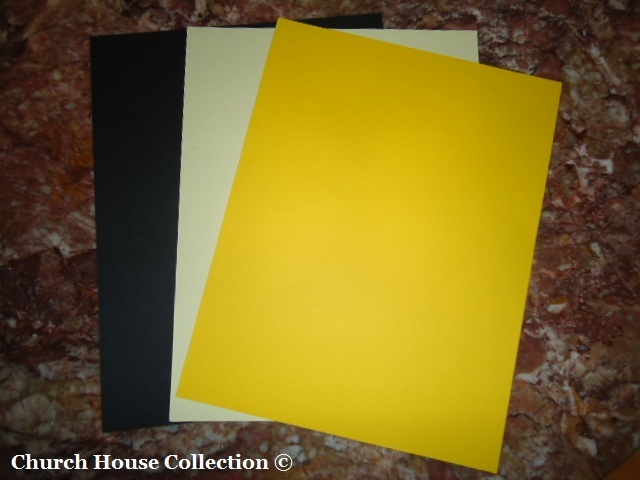 First your going to need 3 pieces of construction paper-1 black, 1 tan, 1 yellow. (And one small square piece of red construction paper). 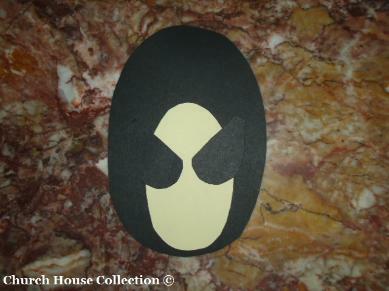 Grab some tape, some colored eyes, scissors and lets cut some shapes out. 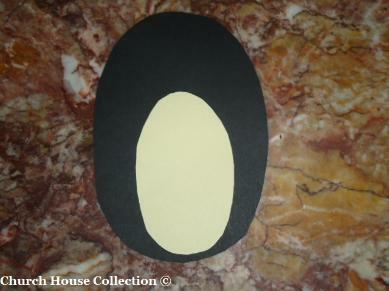 Cut out two long legs and two small feet, one diamond shape for the beak, two wings, 1 large oval for the body and 1 smaller tan oval for the tummy. 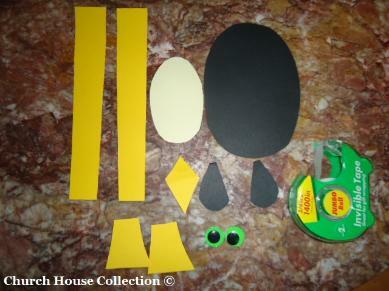 Let's tape the tan oval shape to the large black oval body. 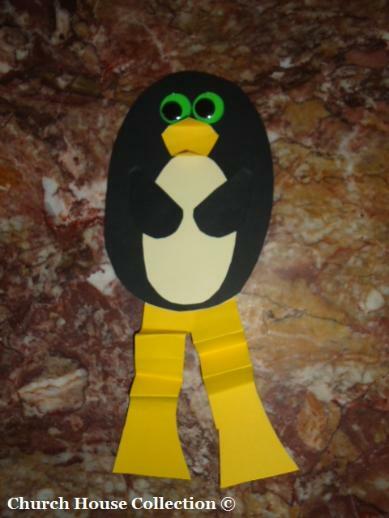 Tape your two wings on like you see in the picture. 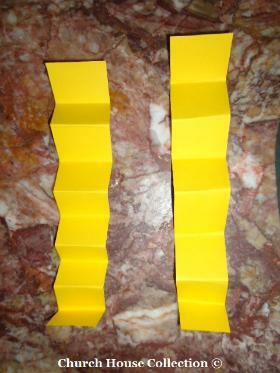 Lets make your two strips of paper all crinkled by folding it back and forth. 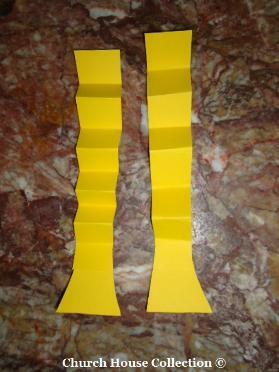 Tape your two feet to the bottom of your legs. Add your two eyes and your diamond shaped beak. 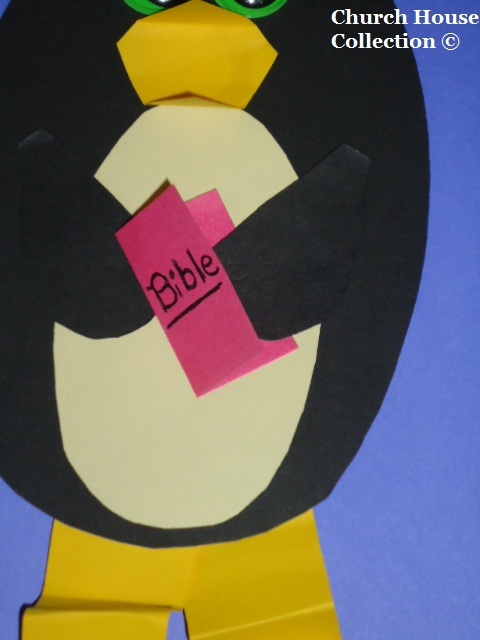 Now let's give the penguin a little Bible to hold. Just cut out a small red square piece of paper and fold it in half. Take a pen and write the word, "BIBLE" on the front of it. 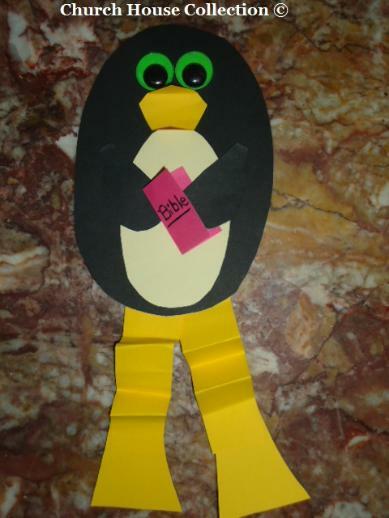 Place half of the bible paper under one of his wings and tape.